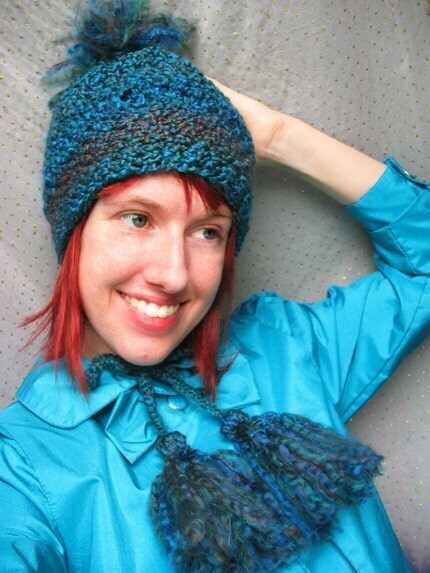 This extra soft crochet hat fits comfortably around your ears, and has long tassels (18″ long) which can be tied under your chin or worn down. 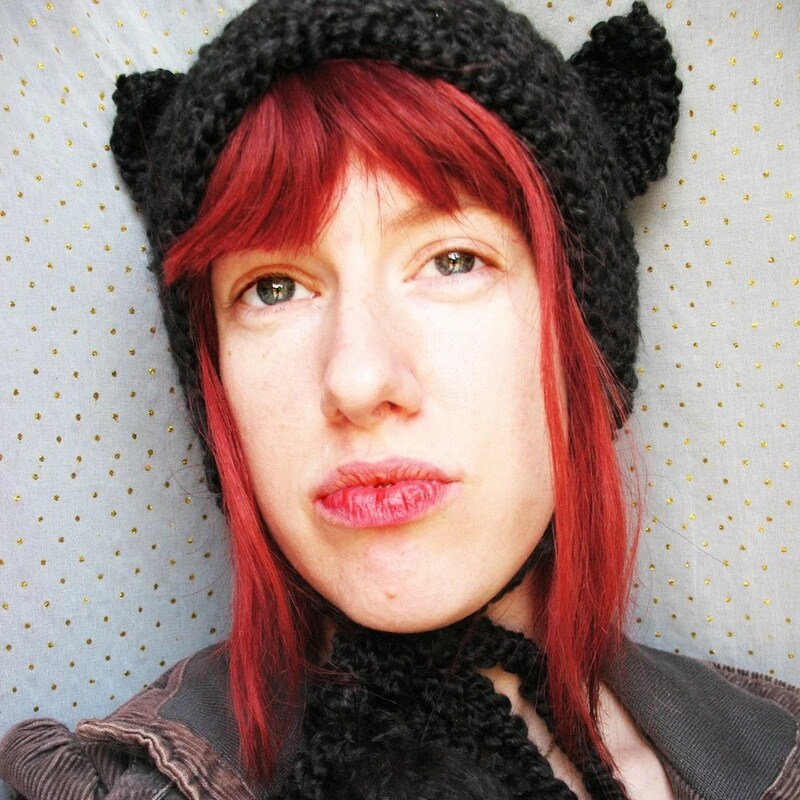 The hat has adorable little kitty ears and long, thick tassels down the sides. Click image to see details and the listing. 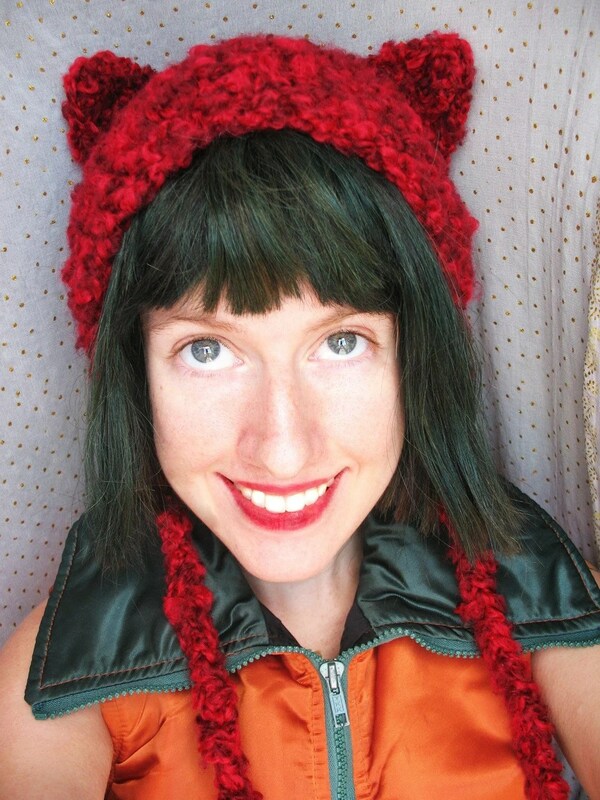 This person is my new hero of the day because they have an etsy shop pretty much entirely dedicated to MAKING HATS FOR KITTIES!! 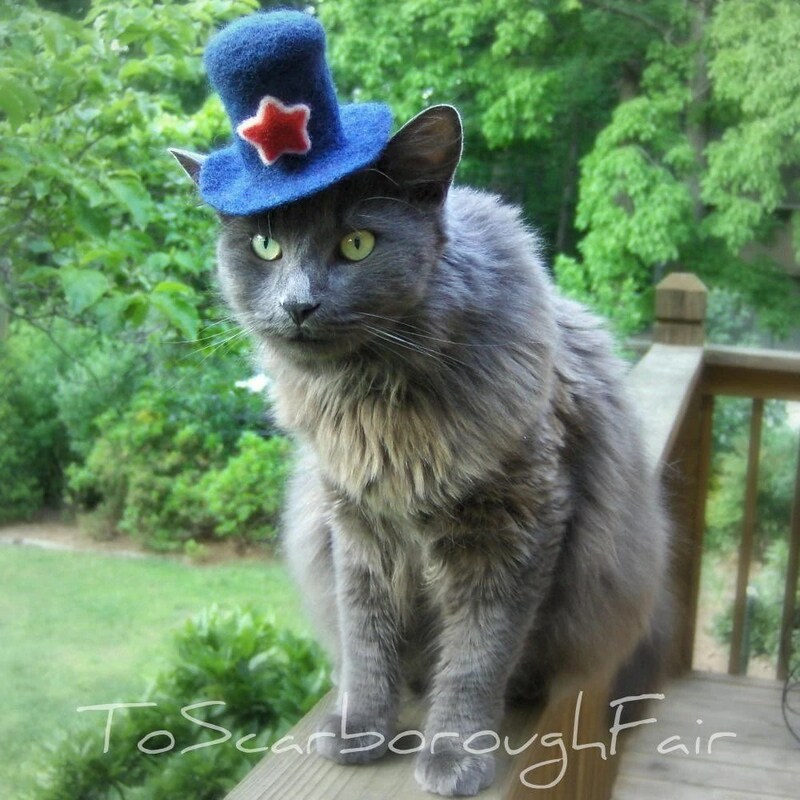 They also apparently have the most well-behaved cat in the world, who models the hats.